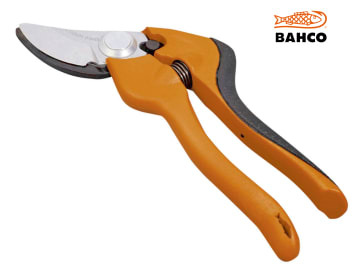 These Bahco secateurs have been developed according to the scientific ERGO™ process, and are designed for all pruning work in the home garden. The horizontal and vertical inclination of the cutting head allows the natural alignment of hand and forearm to preserve tendons and nerves from strain to prevent fatigue. The Xylan® coated blade ensures easy cutting and a soft grip on the upper handle provides comfort. 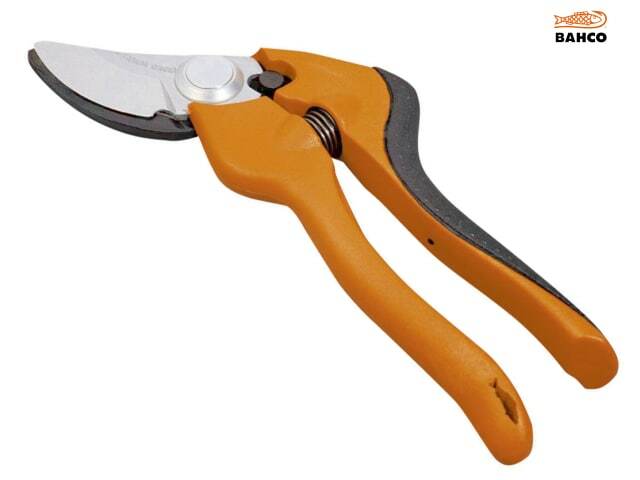 The narrow cutting head of the secateurs allows easy reach, making them ideal for cutting flowers, herbs and shrubs.